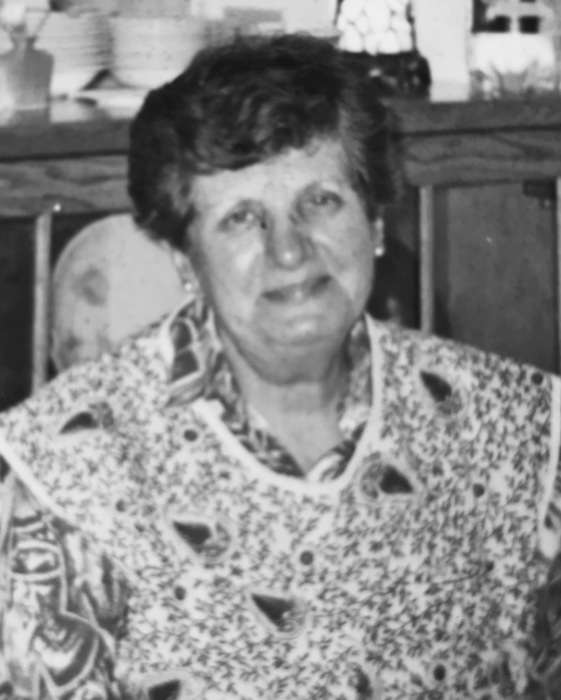 Frances M. Panaccione, known affectionately as Zia to her family and close friends, of Kerhonkson, NY, passed away on Monday, July 23, 2018 at home surrounded by her loving family. She was 89 years old. Frances was born on October 19, 1928 in Jersey City, NJ; she was the daughter of the late Louis and Laura Panaccione. Having moved up to the Hudson Valley as a young girl, she attended and graduated from Kerhonkson High School. Following graduation, she returned to New Jersey where she lived with family and worked towards building skills in bookkeeping. She returned to her Kerhonkson home where she went to work at Eastern Correctional Facility in Napanoch and retired as a Deputy Superintendent. Frances was an extremely dedicated and hard working person. After retirement she enjoyed spending time with her grandson and assisting her son as his bookkeeper, she did not believe in having idle hands. She enjoyed cooking, gardening and working around her home. Many will remember her as the woman that swept the side of 209, she took pride in everything she did which meant keeping the front of her home spotless. She would do anything for her family and friends and her generous spirit was felt by those around her. Frances is survived by her children; Laura Ayasse and her husband Charles of High Falls, and Darryl Scraggs and his wife Theresa of Accord. Also surviving is her grandson, Andrew Ayasse and Dhariana Lozano of Manhattan as well as her “adopted” grandson Joseph Silva of Accord. Her brother, Valentine Panaccione and his wife Concettina of Kerhonkson, and her sister-in-law Patricia DePew Panaccione of North Carolina, and many nieces and nephews. Besides her parents, Frances was pre-deceased by her sister, Anna Marie Scraggs and her brother Daniel Panaccione. The family gives thanks, love and appreciation to all her caregivers especially Diane Gajadhar who was devoted to her for over 6 years. Visiting will be held on Friday, July 27th from 4 - 7 PM at the H. B. Humiston Funeral Home, 30 42nd Street, Kerhonkson. A Mass of Christian Burial will be celebrated on Saturday at 10:30 AM at Our Lady of Lourdes Catholic Church, Kerhonkson. Burial will follow at Pine Bush Cemetery, Kerhonkson. In lieu of flowers, contributions may be made in Frances’ name to the Church of St. Mary & St. Andrew and Our Lady of Lourdes, 137 S. Main St., Ellenville, NY 12428.